Your #1 Solution for Automobile Car SUV Van Truck Tractor Trailer Bud Bugs Treatments NYC Brooklyn! Looking for the BEST Automobile Bed Bug Treatment Brooklyn for your Car, Van, SUV, Truck, or Tractor Trailer? Your #1 solution to car bed bug problems, BedBug Chasers Bed Bug Exterminator Brooklyn 855-241-6435 “ONE & DONE” Automobile Bed Bug Treatment and Get Rid of Bed Bugs Car Brooklyn for all types of automobiles. We provide a Bed Bug Solution which is 100% Guaranteed, Convenient, Discrete and Confidential! If you’re suffering from bed bug problems in a car, truck, or tractor trailer, then it’s time to take action with an experienced Automobile Bed Bug Exterminator Brooklyn. BedBug Chasers is your “ONE & DONE” Bed Bug Exterminator that uses NO CHEMICALS and can maintain a temperature range that is sufficient to kill all stages of bed bugs while not damaging your vehicle or its contents. If your car, van, SUV, truck, or tractor trailer suffers from bed bugs or other insect then you need the Best Bed Bug Exterminator and Vehicle Disinsection company. BedBug Chasers of Brooklyn is there to solve your automobile bed bug problems. It only takes ONE Automobile Bed Bug TREATMENT and only ONE DAY to kill each and every bed bug, nymphs and egg. 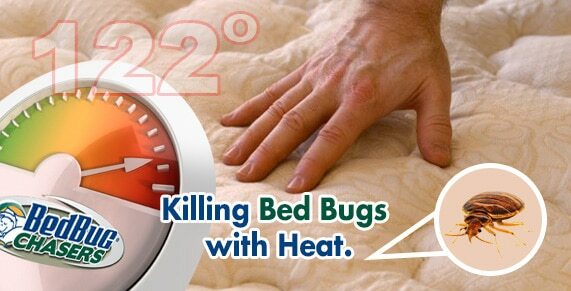 BedBug Chasers’ electric heaters are digitally-controlled, maintain close temperature tolerances and are fire-safe. They are also completely fume and toxic chemical free, making them perfectly safe for humans and aircraft, while being totally lethal to bed bugs and other insect!